There are many positives to choosing an electric car and low running costs are one of their biggest attractions. However, there are a few negatives and, for some buyers, one of those will be the higher price of insurance. This is partly down to the repair costs of fixing a battery-powered car should it be involved in a collision, but here’s our top 10 pick of EVs that will won’t leave you out of the loop when you get a quote. 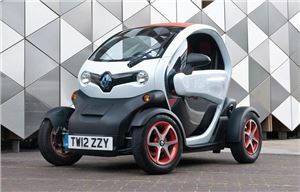 The Twizy is one of those cars that you’re either going to love or hate. Much of that comes down to where you use the left-field Renault EV as it’s very much a car for the city rather than the open road. If you’re an urban sprawler, it’s ideal thanks to compact dimensions that make it easy to flit through traffic more like a scooter and it’s easy to park. British weather is the biggest variable for Twizy drivers as the standard doors are there to stop you falling out more than anything. Still, we love it. The sensible choice of EV drivers looking to keep insurance to a minimum comes from none other than Volkswagen. Not an amazing revelation there, but don’t start yawning. The E-Up has all the fine qualities of its petrol-powered sisters, so it’s built the way German cars are supposed to be and it’s more than nippy enough around town. 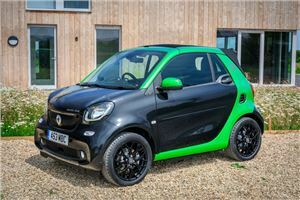 Longer drives see the performance and range tail off, but at least the E-Up is very quiet and it attracts the same insurance rating as the barmy Renault Twizy. 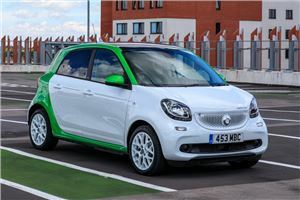 Smart has been plugging away at the electric car market for longer than most and the Forfour is its best to date. Compared to the petrol-fuelled model with an automatic gearbox, the EV model is brisker off the mark and much smoother in town and on faster roads. There’s no penalty in cabin space and you might even find the Forfour Electric a little more comfortable over grazed surfaces, making it an ideal companion in and around town. Take a look at the insurance group for the electric Fortwo and you could be forgiven for thinking we’ve mixed it up with the Forfour EV. However, the Cabriolet body of this battery chariot means it sits two groups higher than its four-door hatch sister model. If you don’t mind the added cost to your premium, the mix of near silent power and open-top journeys is very convivial as you glide through town. However, heading beyond the city limits takes the Fortwo out of its comfort zone. 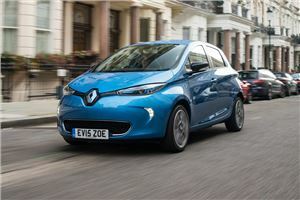 The Renault Zoe is notable for bringing the price of EV ownership down to a much more reasonable level than it had been prior to the car’s launch. For this alone it deserves praise, though you still have to account for the cost of leasing the battery on top of the purchase price. Still, the Zoe is smooth, easy to drive and enjoys the quickstep acceleration up to town speeds most EVs offer. 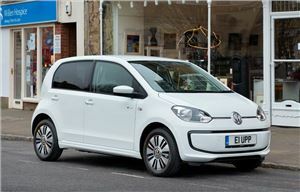 You can also opt for a model with a range of up to 250 miles to counter any range anxiety you have over electric cars. The e-Golf costs much the same as the pulse-raising R model, which seems like a lot for the clean, green model. 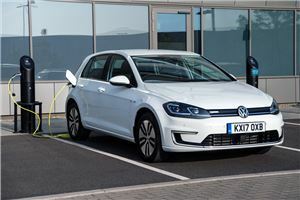 Look closer at running costs and the battery-run Golf builds a strong case, even if that doesn’t include performance. Among the appealing features is its Group 15 insurance rating that means it’s no pricier to get covered than many mainstream petrol or diesel hatches. You’ll find the drive every bit as pleasing as any other Golf and practicality is also the same. With a bit of judicious driving, you could even see 186 miles between charges. You can get an Ioniq that’s in a lower insurance bracket, but it won’t be the full EV version. 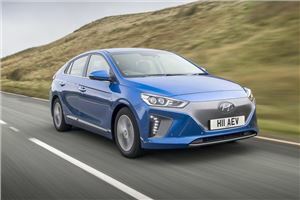 This is because Hyundai produces three types of Ioniq: hybrid, plug-in hybrid and all-electric. You’ll spot the battery-only model by its smooth front grille and this model is great around town. On more open roads, the Ioniq EV puts in an equally good showing with keen performance and a suitably hushed cabin. It’s not the last word in driving entertainment, but a 174-mile range is good for most needs. The Soul has a Tonka toy appeal with its boxy styling that endows it with lots of space for passengers, which is a key attribute in any crossover. It also comes with plenty of standard kit and the interior is very well isolated from the hubbub of life on the outside. Choose the EV model and it’s even more effective at staying quiet. 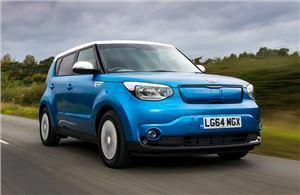 The Kia isn’t as polished to drive as some in this class, but it’s the cheapest crossover with battery power to insure. 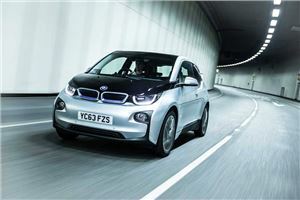 The i3 has been a headline-grabber for BMW right from the off and the result has been to convert many to the idea of an electric car that might otherwise have stuck with fossil fuel. Stand-out looks and a classy cabin help here, but it’s the way the i3 drives that really sets it apart. It drives with all of the verve you expect of a BMW and has punchy acceleration to rival an M3 up to 30mph. A higher price than many other EVs is a consideration and this also results in a Group 21 insurance group. But still, this is a seriously desirable car regardless of what’s powering it. 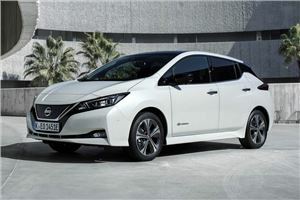 The Leaf is the poster boy for the electric car movement and even its Group 22 insurance bracket has not put off thousands from switching to zero tailpipe emissions motoring with the Nissan. With the latest Leaf, you can enjoy EV driving without small children screwing up their faces as you go by thanks to more rounded, almost normal styling. Better still, a range of 235 miles is now possible, though this does mean fast charging now takes 10 minutes longer if you want the maximum possible range.